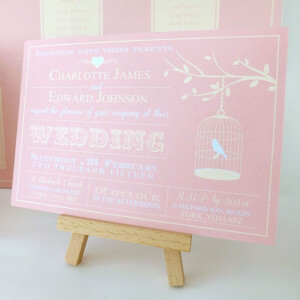 Welcome to Shining Star Designs, where we create beautiful, bespoke invitations for all occasions. Bespoke wedding stationery is our speciality and we believe that as your stationery is the first glimpse your guests will see of your special day, it should be unique and personal to you, perfectly setting the scene for what is to come. 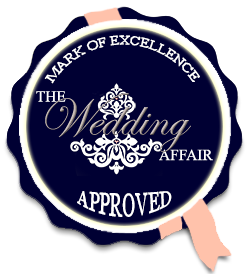 We create bespoke designs for the full range of wedding stationery, from save-the-date cards and wedding invitations, through to on-the-day elements; order of service, place name cards, menus and table plans, and following the wedding, thank you cards. 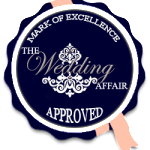 To see some examples of what we could create for you please look in the Wedding Gallery, and if you’d like to know more about how our bespoke service works take a look at Our Bespoke Service page. 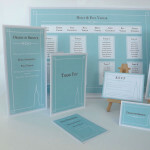 Bespoke wedding stationery can be more affordable than you might think. Our bespoke price guide can give you an idea of how much design and printing may cost, but for a more accurate quote please contact us. We love to create bespoke designs but, for brides on a budget, we can adapt any of our sample designs from the Wedding Gallery to help you save money on design costs. To get an idea of costs please take a look at our sample price guide and if you’d like a quote for different quantities, please get in touch. If you’re looking for bespoke invitations for another occasion, please see our Other Occasions Gallery. We can create any style of invitation you desire for occasions such as Birthdays, Wedding Anniversaries, Christenings or Retirements. We also do Order Of Services for funerals and can create bespoke invitations and on-the-day items for corporate events such as Christmas Parties and Charity Events.